For an inaugural trail race of 6km to over 200 finishers is quite an achievement. Add in the the world famous Portmeirion village in Gwynedd and you have a recipe for an event that will live long in the memory. That is what the lucky participants of the inaugural 6th Trail Race on got on Saturday, as they tackled a challenging 2-lap route that took in some of the most stunning coastal views that Wales has to offer. With its idyllic seaside setting and network of woodland, lakeside and coastal paths, Portmerion is a perfect venue for any race, and with it’s attractions and architecture visitors were treated to a festival of running and culture as performances from the Cadwyn and Tenovus choirs, and bubble shows by Dr. Zigs also added to a day of trail running and family entertainment. As with any trail race these days there were those who lined-up to be competitive, and the inaugural winners of the men’s and women’s races were Paul Jones and Catherine Williams. 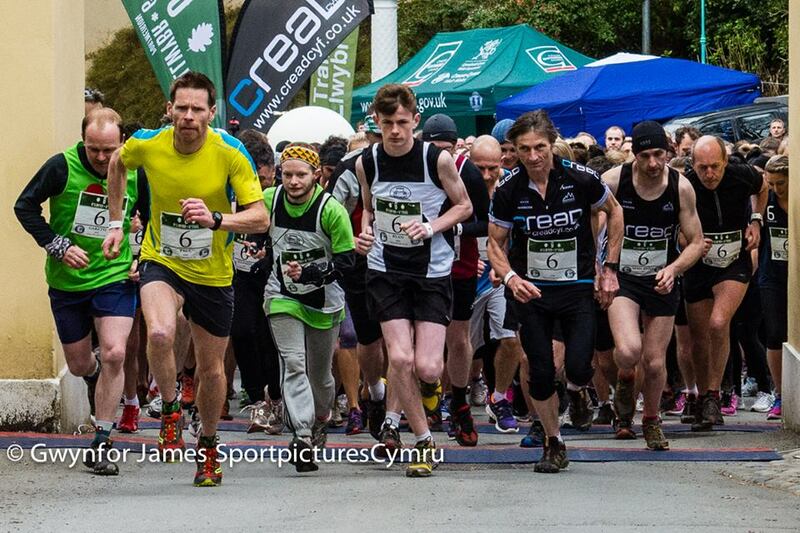 Jones’ time of 26mins 39seconds for the challenging 6km route was impressive, as the Oswestry Olympian was chased home by local men Ifan Richards (29:15) and Dafydd Roberts (30:12). 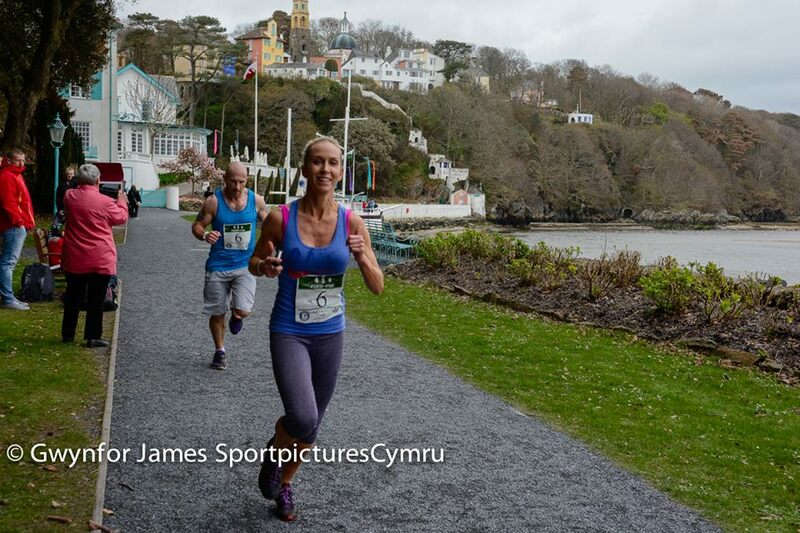 Leading the women home Anglesey runner Williams was a superb ninth overall, and her time was an equally impressive 34:13. Second place went to Lisa Hughes (35:20) with Sarn Helen runner Caryl Davies (36:34) completing the top 3. Top Menai T&F youngster Ryan Cain (31:09) won the junior men’s race, with an excellent 4th place overall. 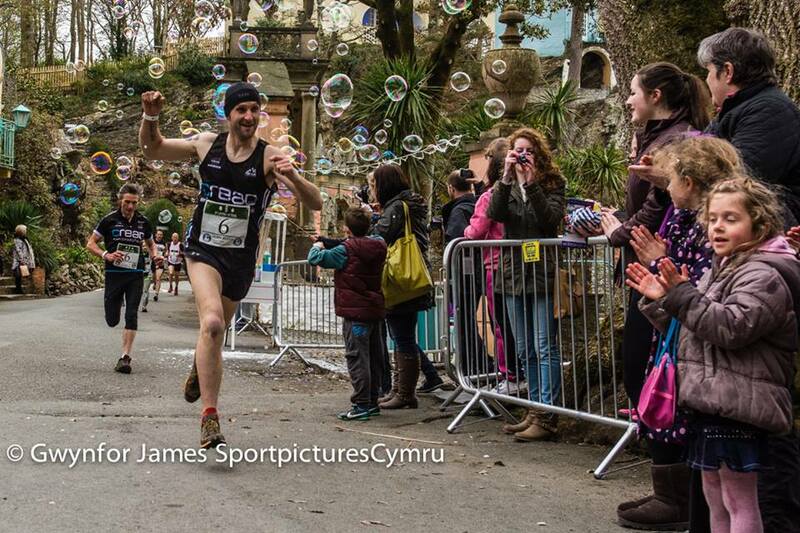 Only a quick note to say thank you to you all for the support of the first ever running race in Portmeirion this Saturday 12th April. The exact final count will be 235 entered and 165 out of the 235 are women, who have entered as a personal challenge or to get back into running and other wanting a taste of Trail Running. All Runners will recieve their wristbands at registration which will open from 9.30 am – 12.30pm, also their tshirt (if ordered) and also the number for the race. The wristband will also allow you to get 10% discount at the Town Hall Cafe, and discount at the Spa Portmeirion for massage. Images, maps, video of the route are currently on the 6th trail page on facebook, and the twitter page @6thtrail. Looking forward to see you all in Portmeirion on Saturday.